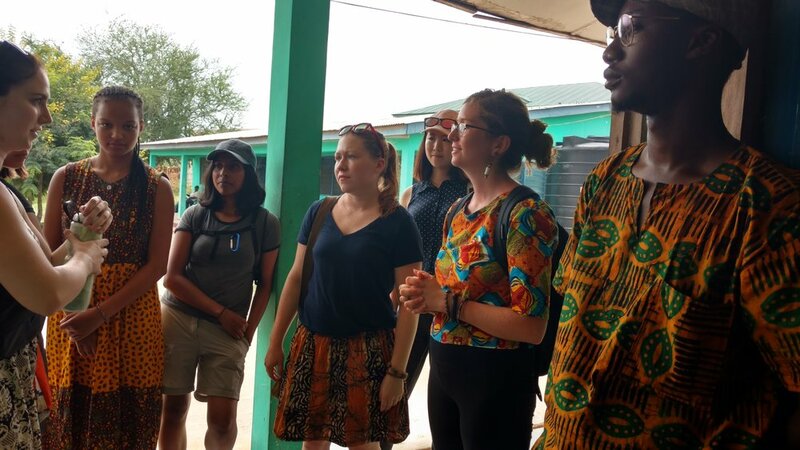 Nkwa’s Foundation Health Outreach project objective is to educate community members and Schools about prevalent health issues common in Ghana and to empower them to take ownership of their health at home. Outreach talks often attract 80 to 100 men, women, and elders and provide an important opportunity for Nkwa to find out about health problems within the community and refer those needing treatment to appropriate medical care. Topics covered include: family planning methods, HIV/AIDS education, proper nutrition, diabetes diagnosis and symptoms, hypertension, asthma diagnosis and symptoms, malaria diagnosis and symptoms, drug abuse, nutrition, and other communicable diseases (ex. Ebola). Community health nurses and health professionals through the University of Cape Coast, University of Cape Coast Hospital, and Agona Health Centre present these topics. After outreaches, mobile clinics are run with the nurses to obtain basic health indicators (ex. weight, blood pressure, basic testing). Any outstanding cases are counseled and referred to appropriate Health Centre for further treatment. Sign up with your email address to receive news and updates from Nkwa Foundation. Thank you for signing up for Nkwa Foundation's newsletter!